The only difference between the two is the MXS is a compact 5″ display and MXG is a 7″ display, a better fit for wide cockpit installations. Aim MXG 1.2 Motorcycle Data Logger is the new dash logger designed to acquire and display data coming from your engine ECU, the internal accelerometer, gyro, and from the GPS Module included in the kit. Analog/digital inputs and predefined math channels. MXS 1.2, the evolution of MXS, is the dash logger designed to acquire and display data coming from your ECU, the internal accelerometer and gyro, as well as from the GPS08 Module included in the kit, analog / digital inputs and predefined math channels. Performance and data acquired can also be incremented adding up to eight expansion modules. 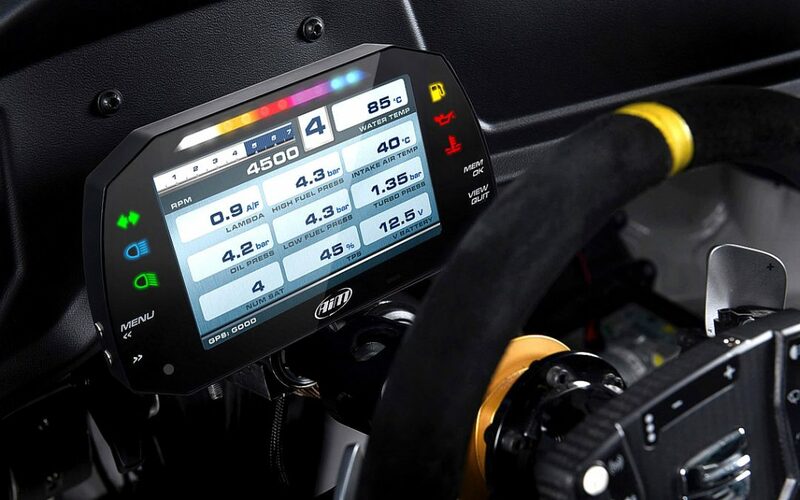 Its 5″ display has been specifically designed for installation in small cockpits. MXS 1.2 is also available in its STRADA version. Kit car builder?. Then the Strada is you best choice. A dash logger for road use, is also available as an IVA approved kit. This has a power supply and connectivity for all your engine data plus your vehicle lighting.